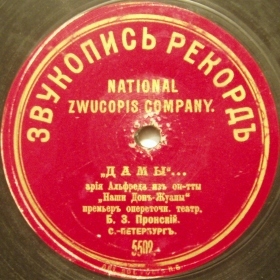 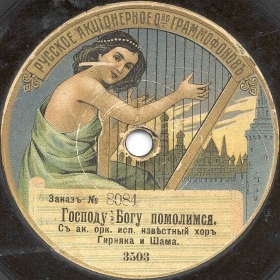 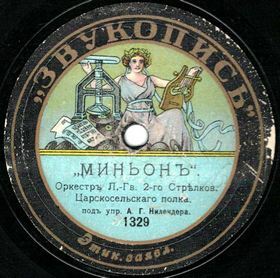 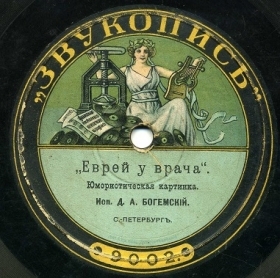 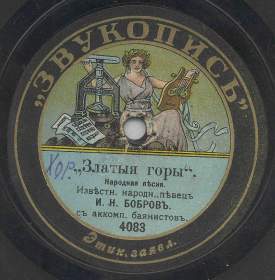 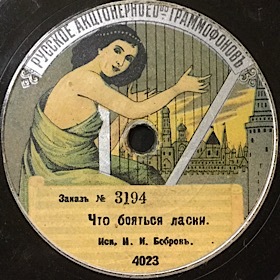 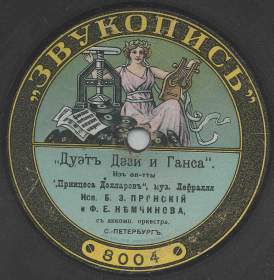 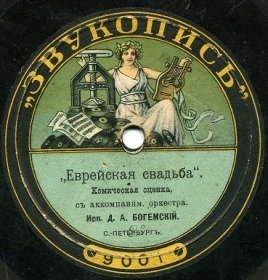 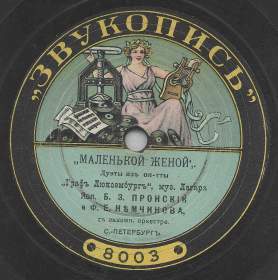 The small Petersburg factory "Zwukopis", was engaged in recording and manufacturing of phonograph records, and acted on Russian Grammophone market from 1911 to 1913. 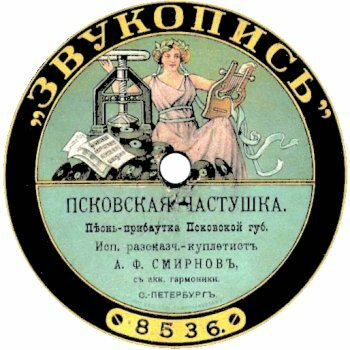 The company was owned by businessmen I.Mazel and S.Zhitlovsky; the main office located on 13 Voznesenski pr., St.-Petersburg. 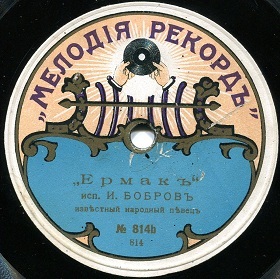 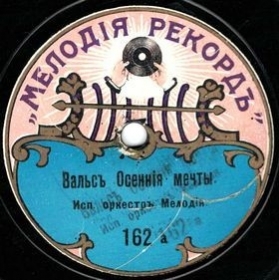 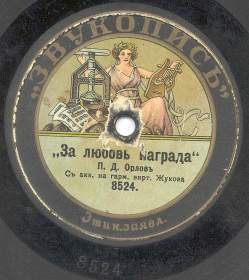 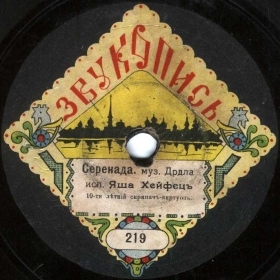 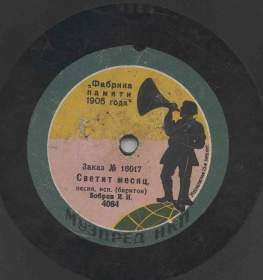 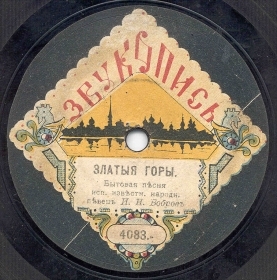 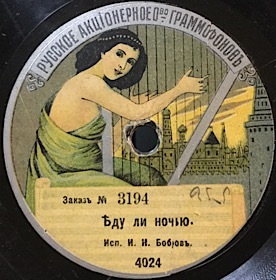 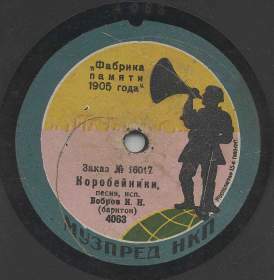 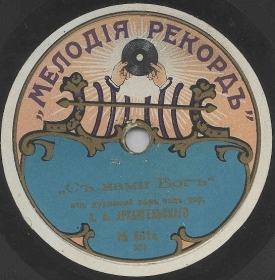 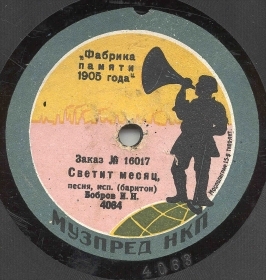 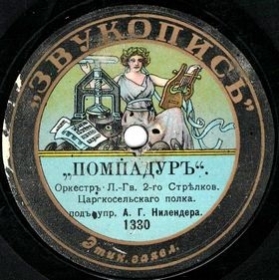 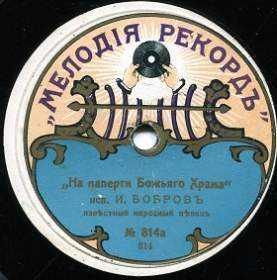 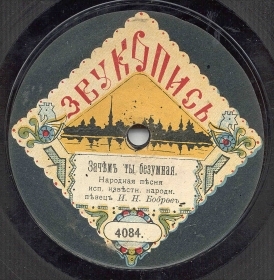 Originally they plan to name it “Svetopis”, the corresponding announce appeared in the “Grammofonnij Mir” (The Gramophone World) magazine in 1911, however it is unknown if any records were ever issued under this label. 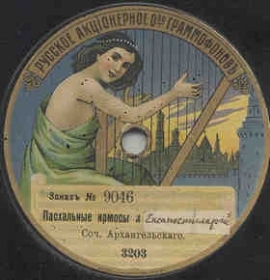 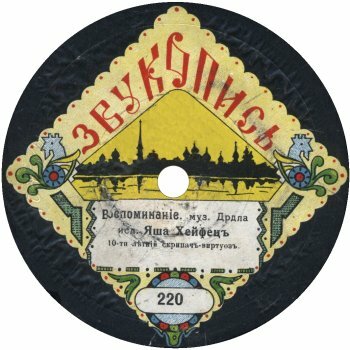 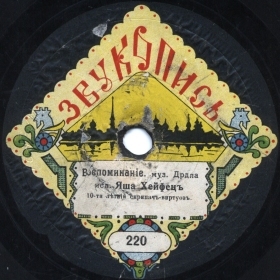 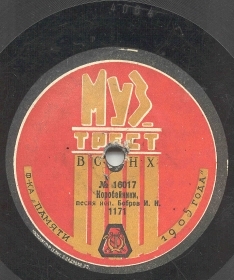 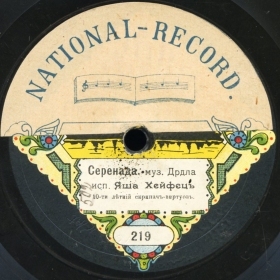 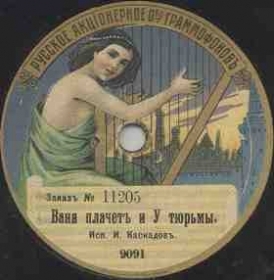 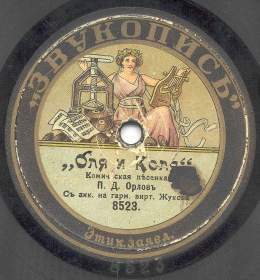 The first “Zwukopis” records appeared on the market in 1911. 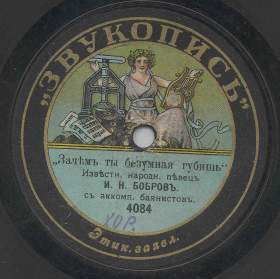 They had very unusual and attractive square shape labels. 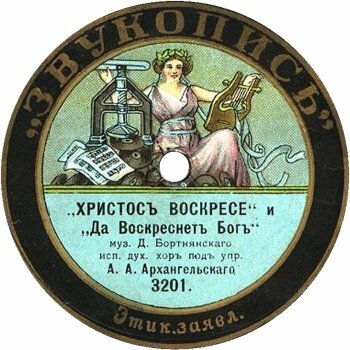 Thanks to their high quality, as well as successful selection of the repertoire, the label instantaneously won popularity. All recordings were made by skilled recordist F.Krechmer. 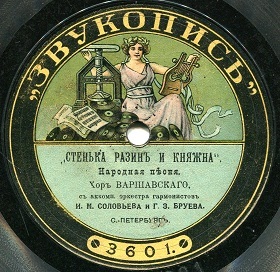 However the competition with more powerful gramophone companies was so tough, that “Zwukopis” began gradually giving in. 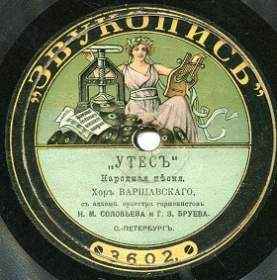 Popular actors preferred to record in more solid companies where they often were asked to sign exclusive contracts. 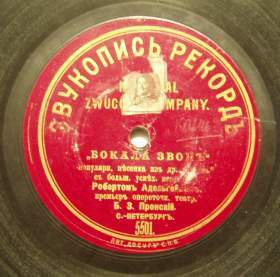 As a result, the repertoire of “Zwukopis” grew scarce, serious disagreements raised in the company's administration. 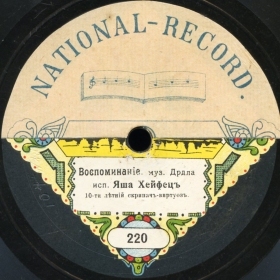 One by one left the company S.Zhitlovsky, then F.Krechmer, without whom the quality of new recordings had sharply worsened. 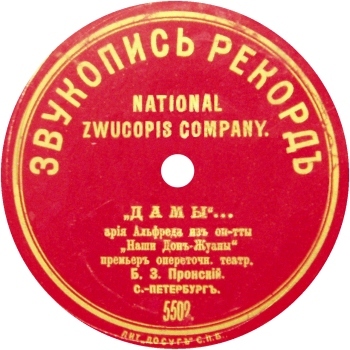 In a short time “Zwukopis” label joined the Association of United Manufacturers and its independent existence had came to the end.